The New 2010 Perception Scooter, sit on Kayak. The Perception Scooter has been a long time favourite here at AS Watersports. 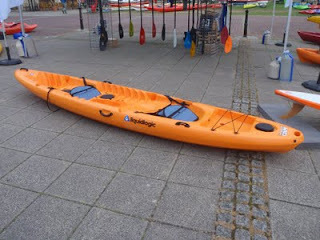 It's a classic all-rounder, great for messing about at the beach, it surfs well, it's got enough length to paddle quickly and easily in a straight line, and its got enough volume to float all comers, without making smaller paddlers feel overwhelmed. 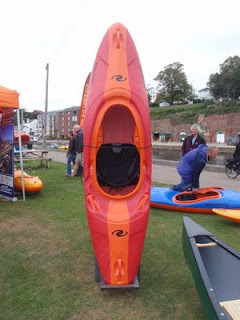 So how could Perception improve on this already amazing kayak? Perception have made a couple of small but significant changes to this years Scooter, that we are sure will help to keep it at the front of the pack. Firstly they have changed to Paddle leash attachment point. On the previous version, this was a drilled hole, only available on the range topping 'Surf' version. Now it's a D-ring attachment, and it's standard on all models. 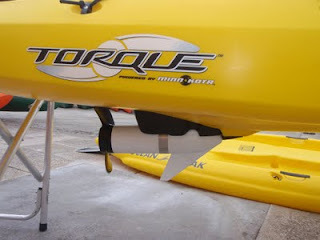 Making it easier to attach a paddle leash to all models. Plus the D-ring is attached via a moulded in threaded insert, meaning no leakage. 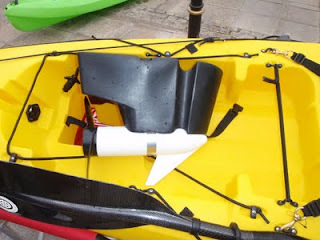 Next up they have tweaked the footrests, just making the ridges on the outside a little deeper, so that it's easier to keep your feet in place when paddling. Deeper footrest ridges for a more positive feel, and a new D-ring paddle leash attachment point. 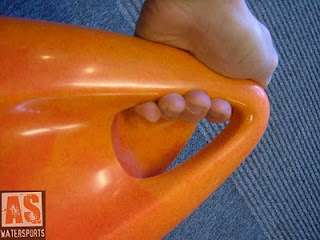 The Front grab handle has been improved, to make it easier to hold, and more comfortable to use. It's now slightly longer and deeper, but without being too big, unsightly or hard to grip. The final change has happened just behind the seat. The flat area that separates the seating area from the storage well on the back has been made slightly wider, so that it is now just the right size to fit a flush mounting fishing rod holder. Perception have been very careful about how they have achieved this, the Scooter is still the same length as the old version, the extra has come from sneaking an extra centimeter out of the cockpit, and an extra centimeter out of the storage well. These tiny differences are enough length for them to be able to make the space for mounting fishing rod holders. All in all these changes are all fairly small, but they are all going to add just a little bit extra to this already great sit on Kayak. The 2010 Perception Scooter is going to be a hit. So why not pop in to the shop now to check one out. 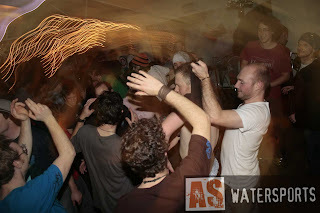 Or have a quick look in the AS Watersports Online Shop. Liam and Ewart dorking about before work on the canal. 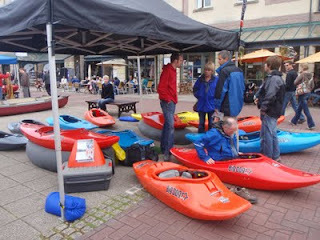 We had a visit in the shop yesterday from two guys training for next years Devizes to Westminster race. Tom and Richard had braved the frozen canal and very cold river Exe for a spot of training. The Weather may finally have dried up here in the Southwest, and the rain may have stopped falling outside, but inside the shop it's raining new gear. 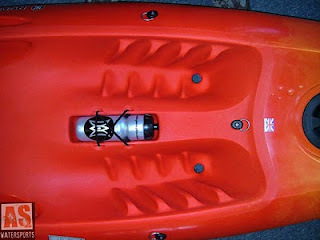 We've got two new kayaks, a throwline belt and some toasty warm new boots! First up we have the all new 2010 Pyranha Burn. Pyranha have taken their tried and tested Creek boat the Burn and made some subtle but significant changes. The rocker profile has been tweaked, to help create a faster boat, that still boofs well, the rails have been lifted to make it less likely to catch an edge, but still carve into and out of eddies, the Knee bumps have been smoothed and lowered to help avoid bashed knuckles when paddling, the cockpit rim has been lowered to make it easier to roll and the deck profiles have been altered ever so slightly to improve re-surfacing and water shedding. Even with the 'old' Burn and the 2010 Burn side by side it takes a while to spot all these changes, they are that subtle. It's not going to feel like a whole new boat, but the little changes will all add up to a boat that is just that little bit better than its all ready good predecessor. 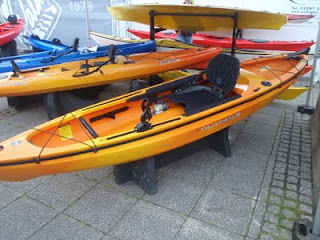 Next up we have the new Pyranha Rebel Junior kayak. 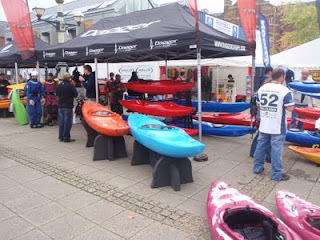 Designed for the smaller paddler, the Rebel offers everything that the rest of the Pyranha range has, but in a boat that is tailored to younger and smaller kayakers. The Rebel features a full plate footrest, whitewater quality grab handles and rescue point and adjustable hip pads and backrest. 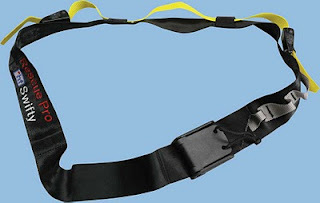 The HF Swifty rescue belt is a quick release waist belt for carrying towlines. It features a large quick release front buckle, for easy adjustment, and fast removal, and a double ended quick release strap for attaching a throwline, meaning that its easy to get your throwline out, with either your left or right hand. And at only £14.95 it's great value too. 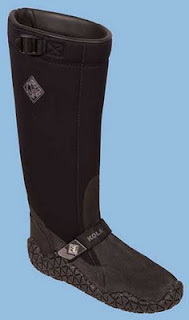 And finally we've got the Palm Kola boot, just what you need to keep your feet warm in this cold weather. Made from 5mm plush lined double glued and blindstiched neoprene, with internal taping to keep your feet warm and dry. 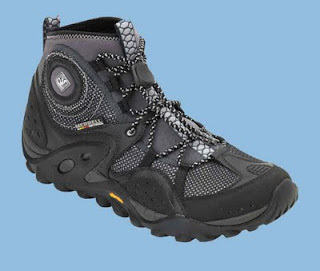 And featuring a great tough, and grippy sole, ideal for scrambling about on rocks, wadding through estuary mud, and trudging alone muddy river banks. More river level webcams, and this ones a Belter! 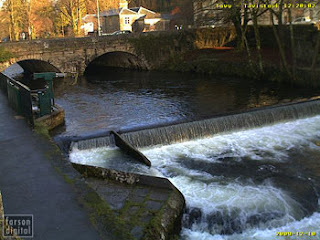 Over looking the weir on the River Tavy in the middle of Tavistock. The webcam comes complete with a level gauge across the bottom so you can check hourly waterlevels to see if it's rising or falling. 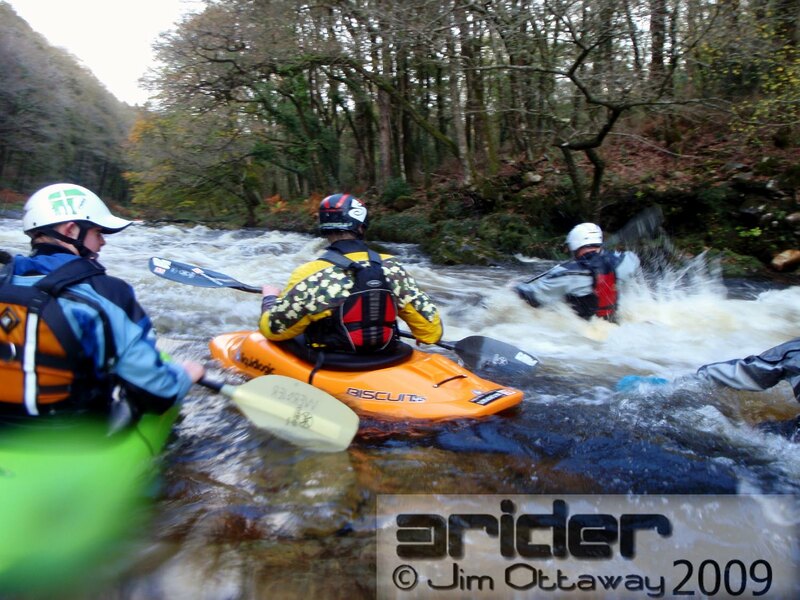 The Tavy is a great river to paddle, with Three sections that are worth checking out. Above Tavistock are two sections the, highest 'The Cleave' features an epic walk in, and some great class 4+ whitewater, but the river needs to be big, then the classic, 'Hill bridge' sections is a great class 3 paddle, a good step up from the Dart Loop. Below the weir there is one section, down to Denham bridge, that is a great great class 2(3) paddle which is good at almost any level and a great alternative to the Dart Loop. 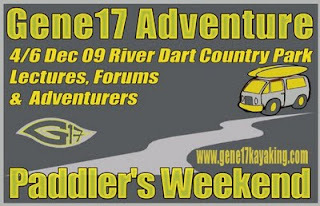 Here's a quick round up of Photos from the Gene 17 Adventure Paddlers weekend evening presentations. 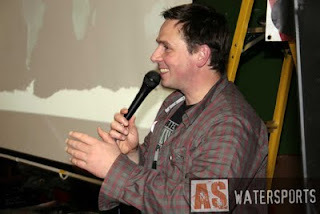 There were talks from the Below and Beyond Machu Picchu expedition, the BUKE Kayak-Nam expedition, and German expedition kayaker and film maker Olaf 'Big O' Obsommer. Christmas is here already at AS Watersports. New in the shop today are these great new colours from Shred Ready. The Standard full cut and half cut are now available in sparkly Purple and Bright green, as well as all the original colours, Carbon Blue, Carbon Black, Matt Black, White, Orange, and the amazing Wood effect. Not only have Shred Ready added some new colours to the outside, they've made a few minor tweaks to the inside. The Original HOT lock system has been replaced with the classic and very popular Hand Of God retention system (HOG). The HOG makes it very quick and easy to adjust the size of the helmet, plus when correctly tension it really does lock the helmet onto your head for the ultimate in secure fitting. Plus they have also colour coded all the internal foam fitting pads. 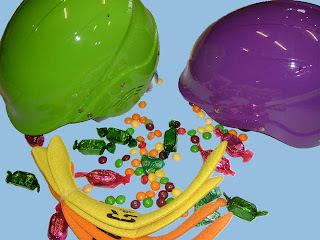 The helmet comes with six foam pads, three for the front and three for the back. 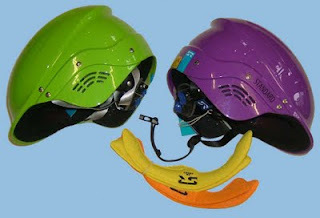 These are now red, orange and yellow, to make it easier to tell which is which when outfitting your helmet. 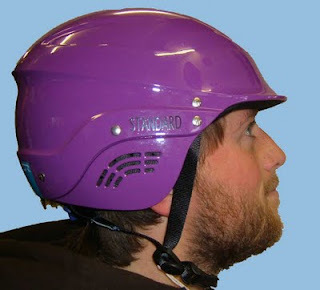 The Standard has got the be one of the best value helmets on the market at the moment. It's made with a tough ABS moulded plastic shell, and an EPP foam inner (the same style EPP as found in Sweet helmets), it comes with the new HOG retention system, three sets of colour coded internal fit pads, and a nylon strap system. And you can get all this goodness for £54.95. It also offers fantastic coverage to protect your head, coming down well over the forehead and temples, deep coverage on the back of the head and the full cut version also offers great protection for the ears, and the side of the head. If your a grizzled whitewater warrior, or just a beginner heading out onto moving water for the first time and your looking for a helmet that offers fantastic protection, the Standard is jam packed with top end features and won't set you back more than £60.00, then the Standard is the helmet for you. It's been all go here again, with boxes of new Palm gear flooding in through the door and some of it already heading back out again in the hands of some happy customers! The all new Extrem EV. 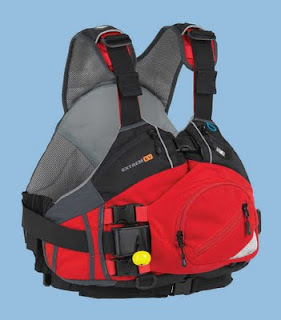 The latest incarnation of the mighty Extrem PFD. Fully updated for the needs of modern creek boaters. You can see how it's progressed through the years on the Palm website. The Extrem EV continues the Palm Extrem Tradition, bringing this PFD right up-todate with heaps in inovative ideas. 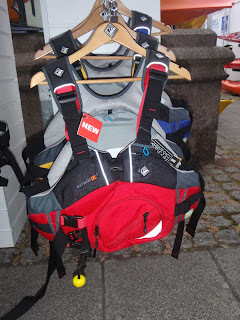 The New Extrem EV features Flex Formed Foam front panel to wrap around torso, Quad buckle zipless front entry, Internal rear padded document/hydration pocket, Continuous loop failsafe shoulder straps tested to 500kg and much much more. 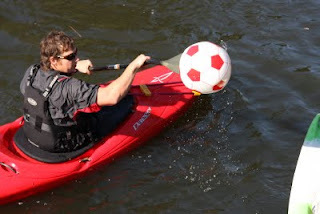 You can also order yourself one of these mighty PFD's on the AS Watersports online shop. 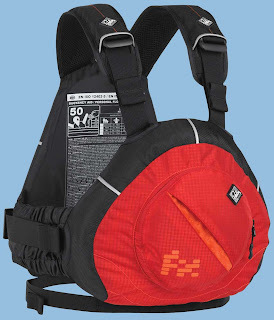 We've also got the all new Palm FX Vest style PFD. 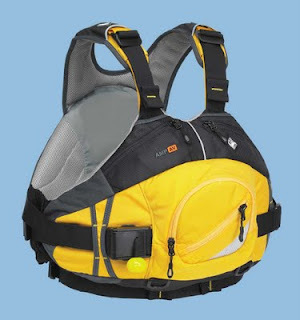 The FX is a great low profile, whitewater vest which provides an unrestricted fit for male or female paddlers. It features; Low profile foam panels, Slimline front pocket with inner compartment, key ring clip, Easy Glide strap adjustment throughout, Continuous loop failsafe shoulder straps with strap keeper pockets. 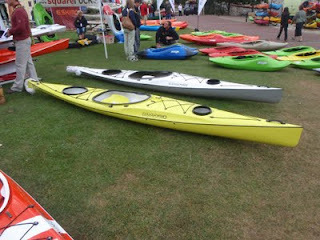 It also comes in Four sizes, including A great XXS/XXXS size specialy for junior and smaller paddlers. And you can get all those features and more for £59.95 Bargain! 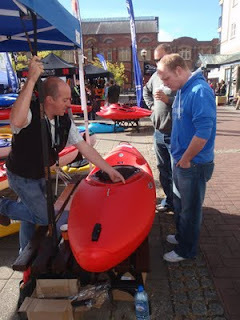 So why not buy one now on the AS Watersports Online shop. And Finally, we have the long awaited Palm/Merrell Gradient boot. With R&D from both Palm and Merrell, this boot looks like it's going to be the UK Creeking boot of choice. This awesome boot features; Vibram super sticky rubber (climbing compound) outsole for superior wet traction with razor-cut siping, Padded ankle for comfort, Pull loops for ease of entry, EVA strobel insole for sockless comfort,Unlined airmesh upper keeps debris out and lets water drain freely, Cushioning midsole for comfort, Stretch neoprene collar keeps grit out and provides a secure fit. You can get your hands on one of these in our Online shop Now! we have had to clear a few more boats. 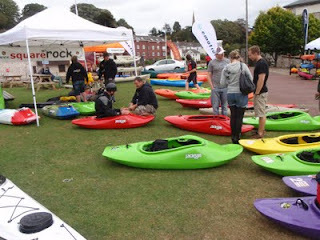 Lots more kayaks and sit on tops have been added to the extravaganza list, with more still to add. Grab your self a bargin in time for Christmas. Theres white water boats, g.p touring and fishing sit on tops all in there! 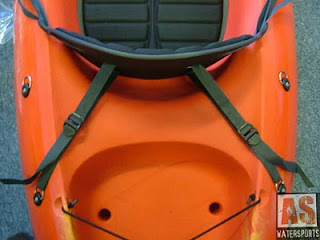 Click the banner or take a peek here: Warehouse kayak clearance! 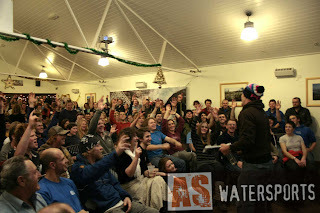 Its almost time for what is becoming the best White water event in the South West. 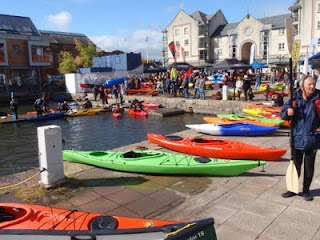 The APWE hosted by Gene 17 kayaking and the River Dart Country park is a great weekend of Paddling, friends and entertainment. 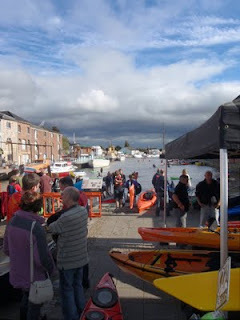 Along with the adventure travel forums where you can meet other like minded people to discuss any future boating plans or pass on any tips. There is the Saturday night video show. This plays host the hottest paddling films out or nearly out now. This year you get: Olaf Obsommer, with a film all about his travels to Sumatra in Indonesia. Below and beyond Mach Picchu, new runs in Peru including canyons and jungle. 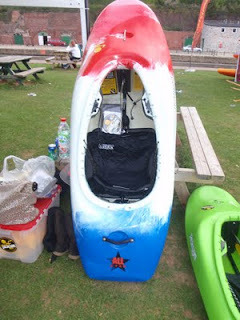 British Universitys Kayak Expedition to Vietnam. 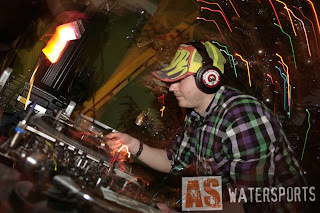 Staff blogs and profile updates. Well the white water season has finally kicked into gear here in the S.W. 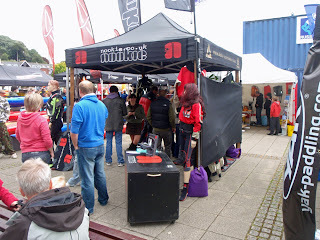 Check out Jims 3Rider blog for a little of what the guys n girls have been up to. They have been out on various rivers and in various craft honing the skills to keep them safe and in one peice (Ewart...). Yup, even Ewart is back on harder white water and gaggin for some more chunky Upper Dart levels. He has had a few runs down now after not paddling the Upper for 2 years due to his shoulder injury. The Big Dog Force he is now in is helping a lot. Jim has been off competeing in his Valley Rush 7.2, Ewart is back on the river and getting lots of waves in preperation for his Christmas surfing trip to Maroco, Jemma is loving all her Helly Hansen thermals and Liam will just try anything you tell him. Right we have to go, the Darts going up the steps! There are increasingly more and more webcams showing river levels in the south west. 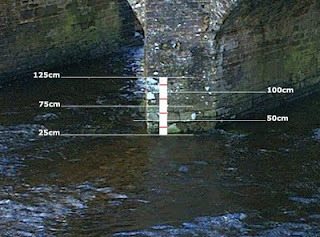 They are a really useful resource for checking water levels and planning days out on the river. The waterlevels page on our website now lists 8 different 'cams on 7 different rivers. As well as links to the most popular weather forecasting websites, online rainfall gauges for both Dartmoor and Exmoor, and an online surf forecast. What more could you need to help you to decide where to go paddling this week? Oh dear its a Ewart Top Wave gallery! J P sneaking in there with a classic shudder rudder. Old school cool. He says it was a back stab?! Yeah right. Back in January of this year Ewart and Andy took part in a BCU coaching update. They lead a little group on the Dart Loop to hone the groups playboating skills and give advice on how to teach it. These photos have just come to light. 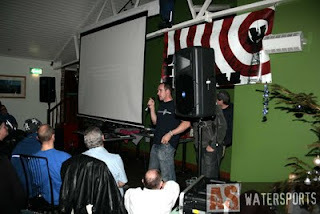 All Photos By Jemma Lane or Andy Iley. 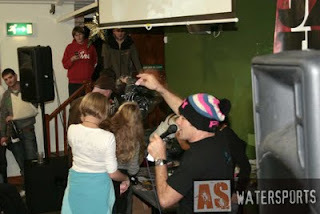 Sam Anderson, British Freestyle team athlete about to pop a huge Loop, Top Wave, River Dart. Craig Kelly, Teignbridge canoe club, showing some excellent torso rotiation and ruddering. Surfing fun on Top Wave. A medium level on the Dart gave a reasonable wave. Ewart gives some pointers from the eddy. 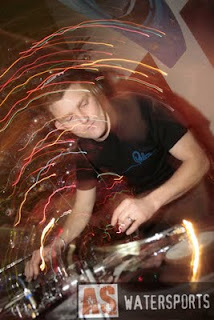 J.P Etock soul surfing and carving it up in a mighty Orbit fish! 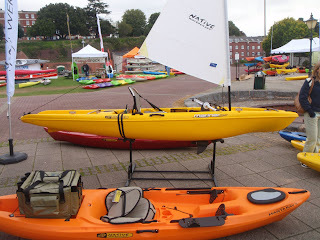 We've been tidying up in the aftermath of this years South west Canoe show, and have found a selection of clearance paddling gear. 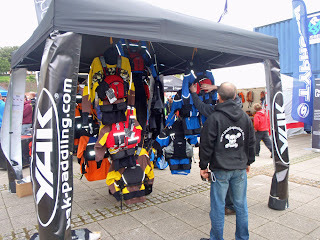 We've got loads of great stuff, from top end whitewater cags, short sleeved cags, and dry suits, to shorts, helmets and coats. 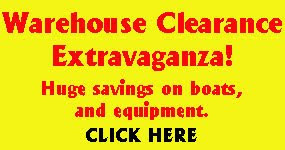 So why not check out the Clearance page of our webshop here. 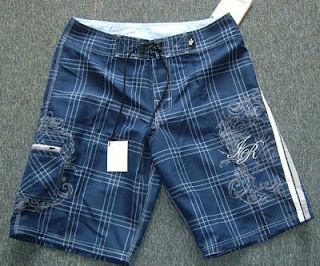 You could get a stylish pair of Immersion Research Gertler shorts like these for just £17.50. Bargain! Palms eagerly expected new range of PFD's are now online in our web shop. Stock should arrive here in the last week of November. You can Pre-order them now through the website, ready for when we get them! 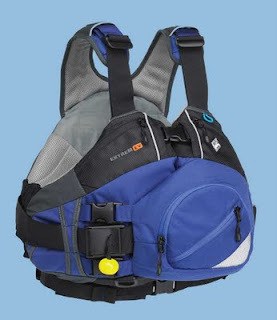 The Extrem EV is an evolution of the outstanding Extrem Vest. It features a comfy and close fitting flex form foam front, with a clever front entry, while still maintaining loads of storage. A new shoulder strap adjustment system makes it easy to adjust, but without sacrificing any strength. 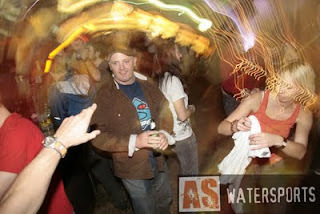 The Amp looks set to become an instant river running classic. Made with the same Comfy Flex form foam as the Extrem EV, but in an over the head vest style. It too features masses of storage, and the same shoulder strap system. The New Palm FX is a a simple yet stylish vest style PFD that offers bags of movement and comfort without breaking the bank. It features low profile panels to offer un-restricted movement and a slimline front pocket. The new 2010 Yak catalog is now available for download from the Crewsaver website. This years catalog features lots of the A.S staff and local crew. 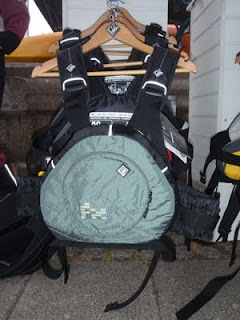 Check out all the top cags, dry pants, buoyancy aids and accessories they have to offer. Great kit at good prices. Email the shop with as many names of the A.S staff and friends you can in the catalog and we will send the top scorer a free Yak gift. 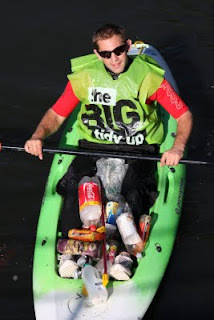 We helped out Teignbridge Council with a litter pick on the River Lemon near Newton Abbot last month. The guys and girls from Teignbridge Environmental services gathered together lots of junk and litter from the river bank. Instructor Tom Klampfer lead the group and provided safety cover. He also got the team playing a bit of Polo with this rescued ball! The Big Tidy Up! As it says on the shirt. Teignbridge councils Chris Braines, instigator of the day. Lots of junk, mostly plastic bottles, food wrappers and fishing tackle. The Perception Scooter sit on tops providied by Saddles and Paddles hireshop on Exeter quay did the job nicely for the none experianced mebers of the team. 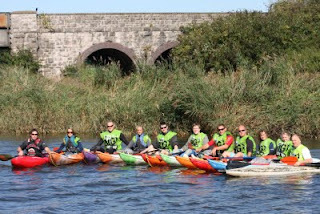 The whole team enjoying the sun of Devon, a new sporting experiance and a very fine job of keeping our waterways clean, tidy and better for everyone. 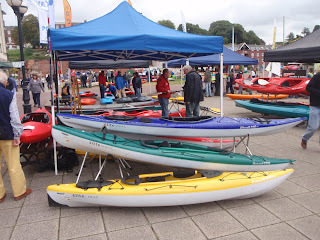 The South West Canoe Show took place this Saturday, and was an alround great success. 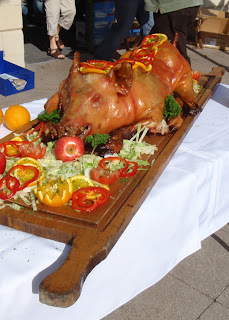 The Weather forecast hadn't looked too promising, but in the end we had a fabulous day. The Sun shone almost all day, we had to put up with about 5 minuets of drizzle, and a few gusts of wind, but we couldn't have asked for much better really! 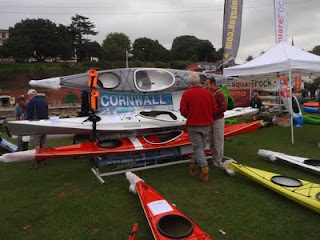 There was lots to see, with masses of exhibitors crammed in, all showing off their latest and greatest bits of kit, plus a small mountain of demo boats for people to try out. Here's a quick photo run down of the day. Enjoy!